For the ultimate in dental care, entrust your pearly whites to nothing but the best with Ipsab Whitening Toothpaste by Heritage Products. Ipsab Whitening Toothpaste features an advanced blend of ingredients designed to scour teeth and gums, freshen breath, whiten teeth and promote overall dental health and hygiene. Prickly ash bark supports gum and tooth health while castor oil bark and silica brighten and whiten your teeth. The organic extracts of fennel, bakul, wild castor bark and clove bud support healthy, toned gums, while pure and potent peppermint and spearmint oils help freshen your breath. 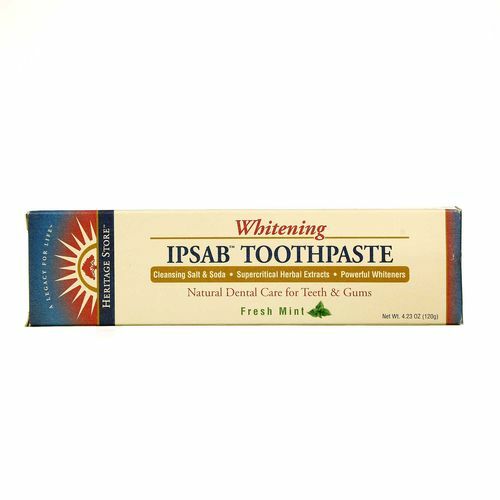 Get the whole-mouth cleaning power of Ipsab Whitening Toothpaste by Heritage Products, to promote fresh breath and excellent dental health. Order a tube today at eVitamins! 警告: Keep out of the reach of children. These statements have not been evaluated by the FDA. These products are not intended to diagnose, treat, cure or prevent any disease. 注意事项: Vegan safe. 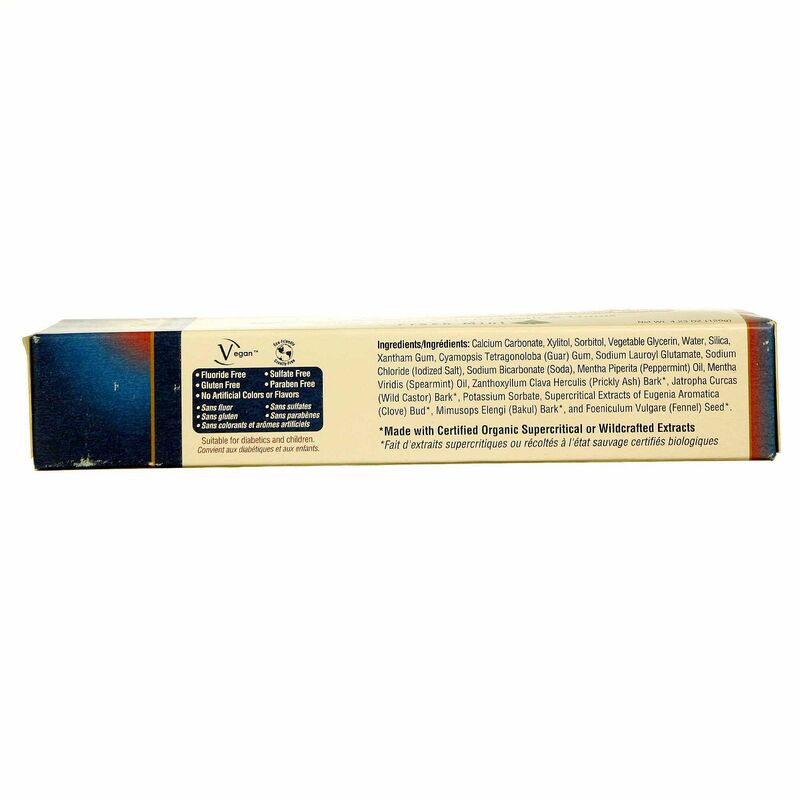 Free of flouride, sulfate, glutens, parabens and artificial colors and flavorings. Ingredients: Calcium Carbonate, Xylitol, Sorbitol, Vegetable Glycerin, Water, Silica, Xantham Gum, Cyamopsis tetragonoloba (Guar) Gum, Sodium Lauroyl Glutamate, Sodium Chloride (Iodized Salt), Sodium Bicarbonate (Soda), Mentha piperita (Peppermint) Oil, Mentha viridis (Spearmint) Oil, Zanthoxyilum clava herculis (Prickly Ash) Bark, Jatropha curcas (Wild Castor) Bark, Potassium Sorbate, Supercritical Extracts of Eugenia aromatica (Clove) Bud, Mimusops elengi (Bakul) Bark and Foeniculum vulgare (Fennel) Seed. Directions: Brush in the morning, evening and after meals daily.